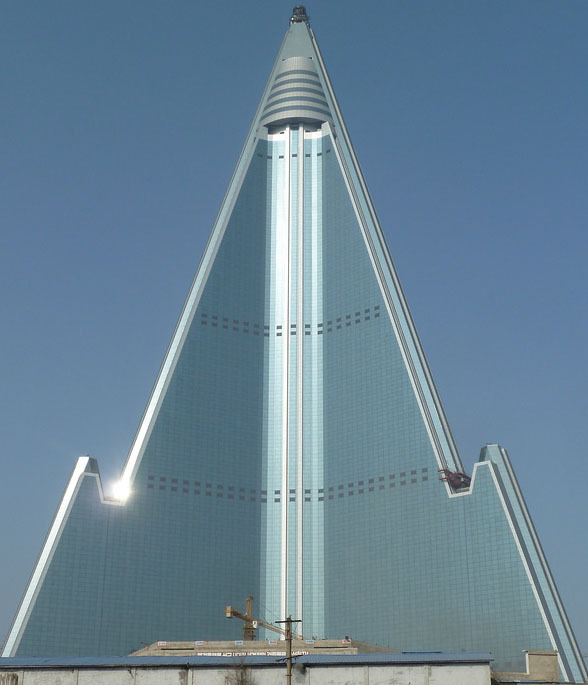 The Ryugyong Hotel in Pyongyang, North Korea has a bizarre history and is a symbol of the extravagance of the totalitarian state. The 105-storey pyramid-shaped hotel began construction in 1987 with planned completion in 1989. After several delays, work was halted in 1992 when the building had reached its full height. Without windows, fixtures or interior fittings, the building sat unfinished for the next 16 years due to a lack of funds, concerns for its structural integrity, and amid food shortages in North Korea. For years, the North Korean government didn’t even want to acknowledge its existence despite its looming presence.